Shalom and good morning. Our message this morning is from the book of Proverbs, Proverbs 3.1-6. The book of Proverbs is a collection of lessons for life, and in it the counsel of GOD teaches what is right and just. It encourages us to be mindful of GOD’s wisdom for our own good and teaches the formula that gives life the only meaning that truly matters. That is a life that is right and pleasing to GOD. The book of Proverbs also teaches us good doctrine and urges us not to forsake GOD’s law for that is our life and health. Proverbs in Hebrews is MISHLEI and could easily mean “a comparison”. The book of Proverbs is filled with brief and pointed sayings of wisdom. Thus, by taking hold of GOD’s wisdom, we are taught what to do, and what to avoid; for GOD gives everyone the ability to receive His wisdom. But each person must listen to its call, and do what He says. Proverbs also teaches the importance of the fear of The LORD which is the beginning of knowledge and wisdom, because the fear of The living GOD results in obeying GOD. And that is how we obtain wisdom and knowledge and understanding GOD and Messiah Yeshua. It (that is fearing The LORD) also produces peace and blessings and happiness and eternal life, and much more. And the promise of GOD IF we will receive His Words and Commandments and do them. VERSE 1 When we receive GOD’s Words and keep His Commandments, His MITZVOTE, His Commandments and Law of Moses. VERSE 2 GOD’s Words and Commandments are wisdom and understanding, understanding GOD, and understanding Messiah. VERSE 3 Also, GOD’s Words and Commandments are knowledge, the knowledge of GOD, and the knowledge of Messiah Yeshua. VERSE 5 Then we will understand the fear of The LORD and find the knowledge of GOD, when we receive GOD’s Words and do His Commandments. THE KNOWLEDGE OF GOD – DAHAHT ELOHIM meaning, we will then know GOD, and understand Him. VERSES 6-7 And again, when you receive GOD’s Words and keep His Commandments, The LORD will give you wisdom and the knowledge of GOD, and you will understand GOD. For He says in Verse 7, He lays up sound wisdom for the righteous. The righteous are those who receive GOD’s Words and keep His Commandments. And He is a buckler, a shield and defense to the upright. The upright like the righteous receive GOD’s Words and keep His Commandments. PROVERBS 3.2 There are added gifts for keeping GOD’s Law and His Commandments. 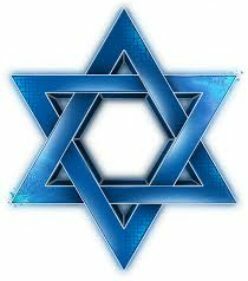 PEACE – SHALOM – peace, safety, security, wellbeing, happiness, health, prosperity. These will be added to you, again and again, for obeying GOD’s Law and His Commandments. The counsel here, make kindness and truth part of your life. Never let them leave you, do not abandon them. Like a beautiful necklace or chain around your neck, and GOD’s teaching in your heart, which is your mind, let mercy and truth remain with you forever. 3.4 So, by not forgetting GOD’s Law and Commandments, and living by them, GOD will add to your life eternal life and peace. And by showing mercy and kindness to others, and living your life in truth, you will find favor and kindness, and good understanding of GOD in the eyes of GOD and man. 3.5 I know personally I do that. Trust in The LORD with all my heart. I’m confident in The LORD, I have absolute hope in Him and feel secure in Him, very secure. But not leaning on my own understanding, not relying on my own hunches, my own thoughts, well, I think I have trouble doing that. But as I get older and look back on all my mistakes, I find it easier now to put all my confidence in The LORD and rely completely on Him when I set out to do something. So I trust in The LORD with all my heart for everything, and GOD always seems to work all things out, not only in my life, but He works all things out in your lives also. 3.6 In all your ways acknowledge Him. The word acknowledge comes from the Hebrew word YAHDAH meaning, KNOW The LORD, recognize that GOD is your authority, that He is your GOD to love and obey, and that we must live our lives according to His teachings and instructions, that we must live within His Law, and that His Laws and Commandments govern us, and they are for our good. And by acknowledging The LORD in everything you do, He will direct your paths, He will guide your life, and manage your life for your wellbeing, and point you in the way you should go. 3.7 WISE – KHAHKHAM – wise to be wise, to have wisdom and skill and intelligence. Thus GOD’s counsel is, don’t think of yourself as having so much wisdom and intelligence that you don’t need GOD. You do. I do. But this is what we must do. Fear The LORD and depart from evil. Fearing GOD produces obedience to His Law and Commandments. So what does it mean to fear GOD? Fearing GOD means fearing GOD. It means to be frightened of Him, afraid of Him. After all, He is The Creator of Heaven and Earth and all that is in them, and it only took Him 6 days. Fearing GOD is to hold Him in reverence and high esteem and respect. Yes, GOD is a loving GOD, full of mercy and compassion. His wonderful qualities are more than we can count. But He wants us to fear Him. That is His Word and that is His Commandment. PROVERBS 3.8 So when we fear The LORD and depart from evil, which is wickedness and all that is wrong in the eyes of GOD, GOD gives us good health. 3.9 Honor is a word meaning to glorify GOD, and honor Him. It also means to esteem Him, and respect and admire Him and to adore Him and reverence Him. And when we honor The LORD with our substance or income which we know as tithing, verse 10 tells us what will happen. 3.10 We will be blessed. 3.11 Chastening is GOD’s correction and discipline, and it may be discipline by punishment, and some suffering, always for our own good. Do not despise the chastening of The LORD, we are taught. PSALM 94.12 Perhaps we are being chastened because we are not living by His Law. HEBREWS 12.5-11 So GOD chastens or punishes those whom He loves, for our own good, to make us more holy like Him. It’s no fun, but afterward, it yields peace and righteousness. PROVERBS 3.12 Chastening by The LORD is evidence GOD loves us. 3.13 Wisdom and understanding, understanding GOD comes from The LORD. And happy is the person who finds them. PROVERBS 3.14 The word merchandise means profit and gain. Thus finding wisdom and understanding, that is understanding GOD, are better than the profit of silver and fine gold. Yes, GOD is saying, the profit that comes from having GOD’s wisdom and understanding is better than silver, and the gain of fine gold. Meaning eternal life forever, and riches and honor are yours when you have GOD’s wisdom and understanding. And GOD gives eternal life and riches and honor to everyone who obeys GOD”s Law and keeps His Commandments. And obeying GOD’s Law means believing in Yeshua The Messiah. 3.17 GOD’s wisdom and understanding are ways of pleasantness and peace. How can you argue with that? GOD tells us His wisdom is to be pursued and embraced. And He promises rewards to those who take hold of her and listen to her. VERSE 22 Possessed me. That is wisdom. VERSE 35 obtain favor from The LORD; affection, delight, pleasure and kindness. The opening words of Proverbs Chapter 3 are, “My son, or My child, forget not My law, but let your heart keep My Commandments”. And then the blessings will come to us. Eternal life and peace GOD will add to us. We will have kindness and good understanding in the eyes of GOD and man. Another teaching is fearing GOD, and that produces health to our body. And happiness comes from finding GOD’s wisdom and getting understanding of Him. That also comes from obeying GOD’s Law and keeping His Commandments. And we are taught not to despise the chastening of The LORD. For whom The LORD loves, He corrects even as a father corrects his son whom he loves, and that for our own good, though it may not be pleasant at the time, but painful. However, later on it produces peace and righteousness to those who have been trained by it. And also, trust in The LORD with all your heart and lean not to your own understanding. Don’t rely on your own insight or hunches, your ideas but trust in The LORD. with all your heart. And in all your ways acknowledge Him. Do what He says, and He will direct your paths, He will guide your life, for your good, and for His purpose. And that’s always good. Amen?